Joints vs Blunts, whats the difference? What differentiates a blunt and a joint? The main two things that separate blunts and joints are the paper and the size, or amount of cannabis. Of those two things, the difference in paper is the only guaranteed difference, as some joints are larger. There are pros and cons to each, and each smoker tends to have their own preference. I have known people who only smoke blunts and people who only smoke joints. I have gone through periods of smoking each real heavy pretty exclusively, now I enjoy both. 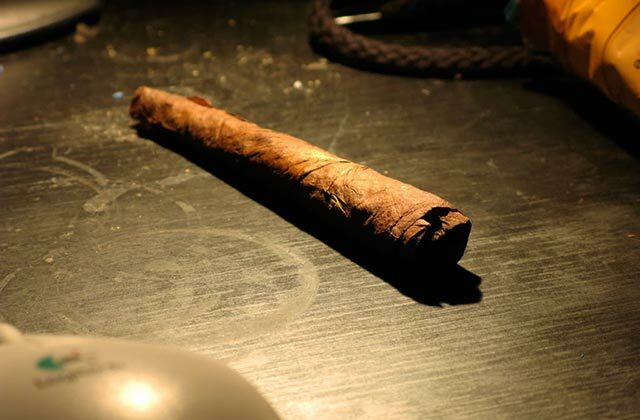 Blunts are distinct in that they use tobacco leaf wraps, typically broken down from cigars or cigarillos or blunt wraps. These are typically brown in color, occasionally green. Mpst people typically feel that blunts are more difficult to roll. The paper is generally harder to work with, thicker, and requires more cannabis to roll them. The flavor of the leaf or wrap is more apparent than with Joints. This may be a positive for some, but not for others. Blunts tend to burn slow, so you tend to get more puffs off the same amount of bud as you would in a joint. Joints are rolled with much thinner paper than Blunts and are typically smaller. There are larger size papers, and I have used multiple papers to make a bigger joint. Joint papers are often made with rice or hemp. They tend to burn faster and run easier than a blunt. They are much easier and quicker to roll up. Joints can provide a cleaner cannabis taste because the paper is thinner and doesn't produce much flavor to distract from the weed. Joints are also far less time consuming to roll up. Whats your preference, and why? either way, enjoy it, and smoke it up! I roll joints cause I am the worst at getting blunts to stick. Bong on bong action, u gotta try one bro! The brown paper is probably hemp.... is it RAW ? Tabacco plus weed was at some point my smoke of choice but its an unhealthy combo. If you can go to straight weed i would reccomend that. If you wanna quit smoking I suggest try Sceletium. Its a plant from. Soutb Africa you should be able to buy it from a health shop. I prefer joints... there are larger size of papers tho.